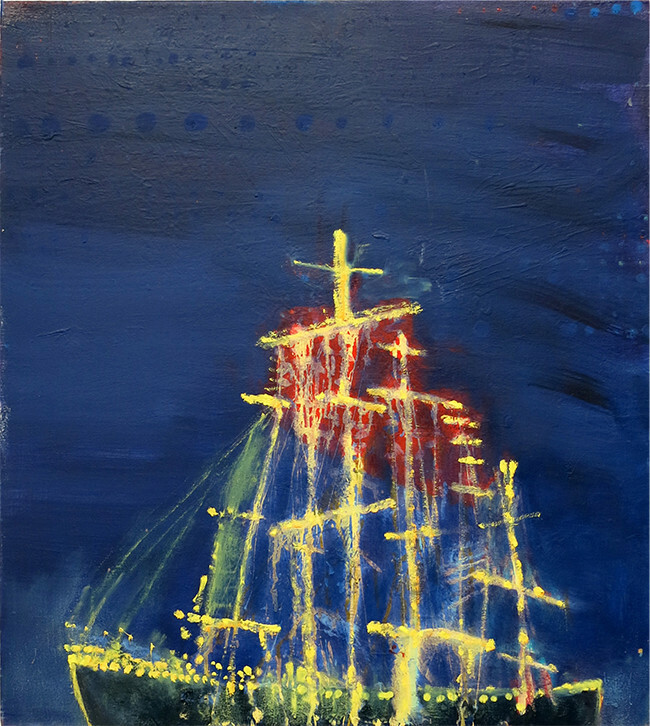 The Ghost Ship, Courtesy Edward Thorp Gallery. KATHERINE BRADFORD attended Bryn Mawr College and holds an MFA from SUNY Purchase. Her work is held in the collections of the Metropolitan Museum of Art, the Brooklyn Museum of Art, and the Portland Museum of Art (Maine). She is a recipient of Guggenheim Fellowship and a Joan Mitchell Foundation grant.